Starting in Johannesburg, join us for an unforgettable 17 day tour through the Eastern part of the country across wetlands, mountains and more. This moving tour keeps you on-the-go as we cover a large swath of beautiful and diverse Eastern South Africa. From the wetlands of Northern KZN, to the savannahs and bush of Kruger, we will travel to many different regions in order to capture as much as we can of the amazing birdlife that South Africa has to offer. See below for a day-by-day outline! On arrival in Johannesburg at O.R. 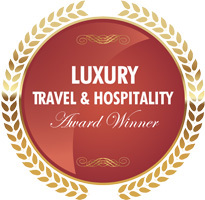 Tambo airport you will depart by shuttle for the Europrime Hotel where you will overnight. After breakfast depart for Wakkerstroom. The Wakkerstroom area is famous among birders as the easiest area to find three highly endemic species restricted to South Africa’s high altitude grasslands - Rudd's Lark, Botha's Lark and Yellow-breasted Pipit. 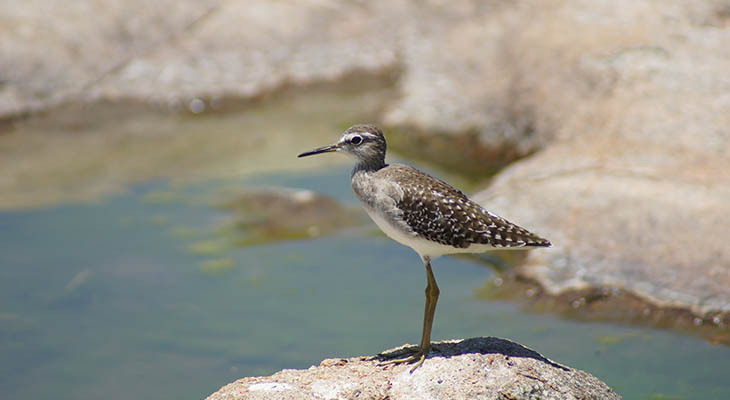 A total of 13 bird species are endemic or nearly so to South Africa’s Grassland Biome and nine of these, including Rudd's Lark, Botha's Lark and Yellow-breasted Pipit, plus Southern Bald Ibis, Blue Korhaan, Eastern Long-billed Lark, Sentinel Rock-Thrush, Buff-streaked Chat and Drakensberg Prinia can easily be found here during a full day’s birding in summer. After arriving and checking in at the Wakkerstroom Country Inn we will do an afternoon birding excursion at the wetlands surrounding the town. Early morning departure for a full days birding in the Wakkerstroom / Amersfoort area. Habitats in this area range from open grassland to mist belt forest, gorges and cliffs, with extensive wetland habitat in the form of pans and dams. We return to town for lunch, after which we will depart for an afternoon birding excursion returning late in the afternoon. Overnight Wakkerstroom Country Inn. After a morning birding excursion and breakfast we depart Wakkerstroom for St Lucia. Isimangaliso Wetland Park (The Greater St Lucia Wetland Park) - declared a World Heritage Site in late 1999 - is an aggregation of numerous, singular natural wonders deemed crucial to the future of the global community. The 332 000 hectare Park contains three major lake systems, eight interlinking ecosystems, 700 year old fishing traditions, most of South Africa’s remaining swamp forests, Africa’s largest estuarine system, 526 bird species and 25 000 year-old coastal dunes – among the highest in the world. The name iSimangaliso means miracle and wonder, which aptly describes this unique place. Upon arrival at Seasand Lodge in St Lucia, we will check in, and after a bit of a rest after the drive we will bird and explore the dune forested area surrounding the town. Dinner and overnight Seasands Lodge. Today will be set aside for a boat trip on the main estuary, as well as a birding excursion into the Isimangaliso Wetland Park. iSimangaliso offers some of SA’s finest birding, with 521 bird species recorded throughout the Park. Wetlands are renowned for huge numbers of waterbirds such as flocks of pelicans, storks and flamingos congregating alongside specials such as Rosy-throated Longclaws, Pygmy Geese and Lesser Jacanas. Dinner and overnight Seasands Lodge, St Lucia. We depart early morning (packed breakfast will be provided) for a morning game drive within the Hluhluwe/Imfolozi Game Reserve, situated to the west of St Lucia. Set in the heart of Zululand, the oldest game reserve in Africa where Zulu kings such as Dingiswayo and Shaka hunted and put in place the first conservation laws, where today the "Big five" of African legend stalk the verdant savannah. The Park became world renowned for its white rhino conservation methods implemented during the 1950’s and 1960’s. The wide range of plant life in the park gives rise to a diversity of mammals, birdlife, reptiles and amphibians. The Big Five - lion, rhino (back & white) elephant, buffalo and leopard are all to be seen in the park, as well as a variety of other species, including cheetah, wild dog and giraffe. It is also one of the best places in the world to see nyala. Larger mammals to be seen include buffalo, blue wildebeest, zebra, giraffe, elephant and large numbers of impala, waterbuck, common and mountain reedbuck, nyala, kudu, bushbuck, steenbuck, duiker, warthog, black rhino, lion, leopard, cheetah, hyaena and jackal. In excess of 300 species of birds have been recorded. We return to St Lucia where the afternoon can be spent relaxing or birding in the beautiful gardens of our accommodation. Dinner and overnight Seasands Lodge, St Lucia. After breakfast in St Lucia we depart for Mkhuze Game Reserve. 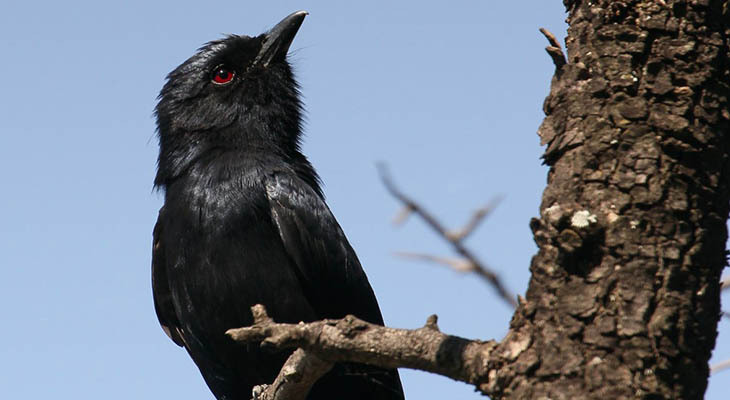 A place of great beauty and high contrasts, Mkhuze is renowned as a mecca for bird lovers with more than 420 bird species on record. The Mkhuze River curves along the reserve's northern and eastern borders with a fine stretch of fig forest along its banks. Fish eagles swoop over the pans, snatching prey spotted from their perches in the fever trees. The reserve has an astonishing diversity of natural habitats, from the eastern slopes of the Lebombo mountains along its eastern boundary, to broad stretches of acacia savannah, swamps and a variety of woodlands and riverine forest. A rare type of sand forest also occurs in the reserve. This diversity of habitats means a wide variety of animal species including black and white rhinoceros, elephant, giraffe, nyala, blue wildebeest, warthog, eland, hippo, impala, kudu and other smaller antelope. Rare species occurring in the reserve are cheetah, hyena, suni and leopard. Three game viewing hides have been constructed next to the Kubube, Kamasinga, Kwamalibala pans, these hides offer unique opportunities to photographers and many famous wildlife pictures have been taken there. Two beautiful pans, Nhlonhlela and Nsumo , lie in the north and east respectively, home to communities of hippo, crocodile, pink backed and white pelicans, as well as a diversity of ducks and geese which gather in spring. On arrival at Mantuma camp in Mkhuze game reserve we will check in, and then depart for a visit to one of the hides. Dinner and overnight Mantuma Camp, Mkhuze. Today will be set aside exploring and birding Mkhuze game reserve by vehicle, and where possible, on foot. The reserve has a number of hides overlooking waterholes and pans, and we will spend time in these on our search for the great diversity of bird species which this reserve is famous for. Overnight Mantuma Camp, Mkhuze. After an early breakfast we depart for Swaziland. Crossing the border between Swaziland and South Africa at Golela, we proceed to Mlilwane Wildlife Sanctuary. Mlilwane means Little Fire in the local Swazi language, being derived from the numerous fires started by lightning strikes on the Mlilwane Hill. The Sanctuary covers 4,560 hectares and comprises of a southern and northern section. The southern section is predominately open grassland plains with middleveld vegetation, stretching up onto the striking Nyonyane Mountain with its exposed granite peak known as the "Rock of Execution". Nyonyane is where ancient San once lived and where Swazi Royal graves are situated giving historical significance. Behind these mountains, the stunning Mantenga waterfall and beautiful Usushwana Valley form the divide, before stretching up to northern section, which includes one of the highest surrounding points at Luphohlo. Upon arrival at Mlilwane in the afternoon, we will check in into our accommodation and the balance of the day can be spent relaxing and viewing the many different species of birds and game that frequent the camp and waterhole. Overnight Mlilwane. Early morning and afternoon walks from the main camp exploring and birding this beautiful reserve will be the pattern for the day. Special birds for this reserve include: Southern Bald Ibis, Verreaux's Eagle, African Crowned Eagle, Black Sparrowhawk, Marsh Owl, Half-collared Kingfisher, White-fronted Bee-eater, Scaly-throated Honeyguide, Wire-tailed Swallow, Buff-streaked Chat, Broad-tailed Warbler, Cape Grassbird, Golden Weaver and Red-backed Mannikin to name a few. Overnight Mlilwane. After breakfast we depart Mlilwane and head back for South Africa before entering the Kruger National Park. The world-renowned Kruger National Park offers a wildlife experience that ranks with the best in Africa. Established in 1898 to protect the wildlife of the South African Lowveld, this national park of nearly 2 million hectares, SANParks - Kruger National Park is unrivalled in the diversity of its life forms and a world leader in advanced environmental management techniques and policies. Truly the flagship of the South African national parks, Kruger is home to an impressive number of species: 336 trees, 49 fish, 34 amphibians, 114 reptiles, 507 birds and 147 mammals. After entering the park at Malelane gate we proceed to Skukuza Camp where we will be spending the next two nights. Skukuza is the Kruger National Park's largest rest camp and administrative headquarters and is situated on the southern banks of the Sabie River. The camp is well foliaged and there are some lofty trees along the river’s edge. Early morning excursion to Lake Panic bird hide. The beauty of Lake Panic bird hide is that almost anything can turn up. There is a high incidence of leopard sightings from this hide, and hippo and crocodile are resident, as are large selection of water birds such as herons, fish eagles, storks, kingfishers and crakes. After spending most of the morning at the hide we return to camp for a well deserved breakfast and a break. The afternoon will be set aside exploring and birding the area around Skukuza, or taking the opportunity to go on a sunset drive with a Kruger ranger (optional). Overnight Skukuza. After breakfast we depart for Letaba Camp. The idyllic Letaba Rest Camp is situated on a sweeping bend of the Letaba River, midway between the southern and northern boundaries of the Kruger National Park. The name means “river of sand”, and the sandy riverbed is an excellent location for game viewing, particularly elephant, which thrive in the area. Letaba is a green oasis in the surrounding mopane veld, and remains a firm favourite with visitors. At night the stars overlook a symphony of sounds. Owls, nightjars, frogs, fruit bats, crickets and cicadas all vie to be heard, until the lion roars, then all are silent. The route from Skukuza to Letaba camp takes in some of the best predator viewing areas in the Kruger, as well as covering various habitats which makes it especially productive for birding. Upon arrival check in at Letaba camp. The balance of the afternoon can be spent birding the camp grounds. 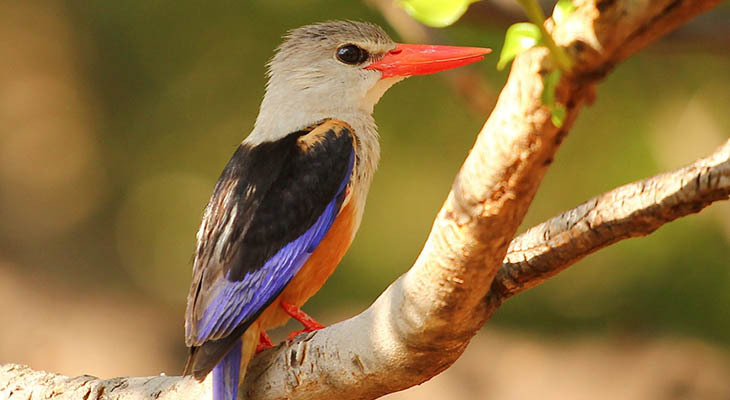 Letaba Camp offers excellent bird watching opportunities all year round. Pearlspotted, Barred and Scops owl can be spotted in camp, while the Giant Eagle Owl is regularly recorded along the river. Green Pigeon and Brown Headed Parrot can be found high in the tree canopies. Overnight Letaba. This morning will be set aside for an optional morning bush walk with a Kruger ranger. As only a maximum of 8 people are allowed to participate at a time, it might be necessary to split the walks with the next group walking the next day (group size dependant). 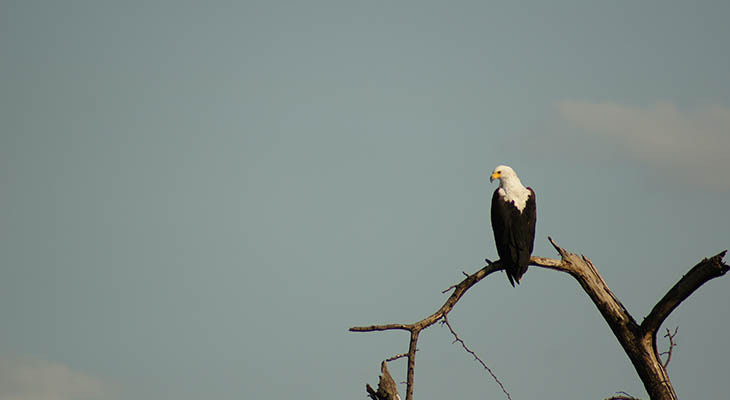 For those who are not interested in the walk, the morning will be spent birding along the river edge, which is always productive, and the Matambeni Bird Hide on the northern bank of Engelhard Dam is an excellent place to watch water birds. After returning to camp, and breakfast, the afternoon can be spent exploring the area surrounding Letaba by vehicle. Overnight Letaba. After a morning drive and breakfast we depart for Mount Sheba resort. Mount Sheba Resort rests majestically above the historic town of Pilgrim's Rest, surrounded by the lush indigenous rainforests of Mount Sheba. Set on approximately 400 hectares of indigenous bush and forestry, this lodge in Mpumalanga offers a unique combination of creature comforts and natural simplicity. Upon arrival at Mount Sheba we will check inn and enjoy the afternoon at leisure. Overnight Mount Sheba Resort. 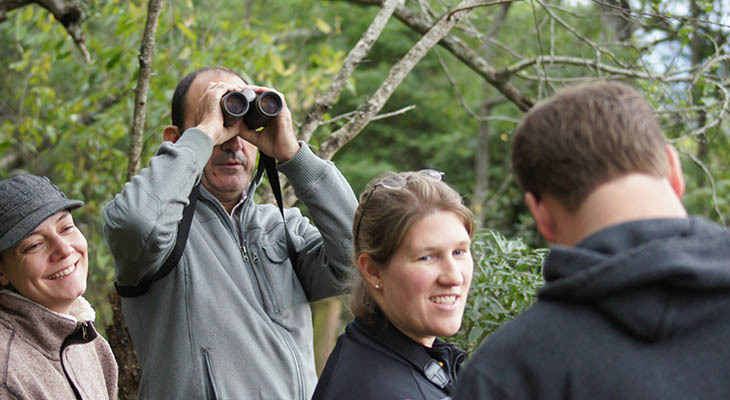 The day will be set aside for birding excursions on foot into the forest. 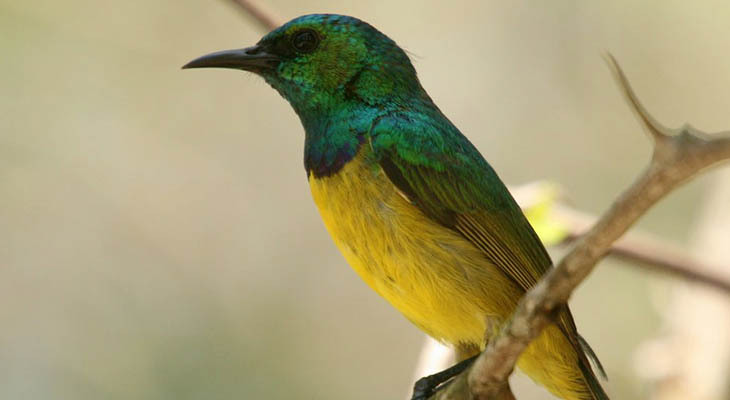 Mount Sheba is one of Mpumalanga's premier forest-birding localities, and excellent network of walking trails provide good access to the forest. The area offers a good selection of typical escarpment species and a number of highly localized specials and include African Crowned Eagle, Knysna Turaco, Narina Trogon, Olive Woodpecker, Grey Cuckooshrike, Orange Ground-thrush, White-starred Robin, Yellow-throated Woodland-warbler, Olive Bush-shrike and Southern Tchagra. Overnight Mount Sheba Resort. Morning birding excursion and breakfast, after which we will have time to “mop up” on all the special birds which we might not have been able to find at Mount Sheba before departing for Johannesburg.